How to compare MPLS WAN providers for free? How our team are positioned to help your business with UK or Global MPLS WAN provider comparison without any fees? In 2018, we’ve launched a spin off team (outside of our work with BT Business) comparable to financial advisors within the telecoms world. We’ve formed wide ranging partnerships with WAN and Security providers across the Globe making your job that much easier. We set out to create a resource to specifically help IT Managers compare MPLS, VPLS and SD-WAN providers / vendors. If you’re in the market for MPLS WAN connectivity, you’re probably looking for a single resource that lists the most prominent providers/vendors for Global and UK business. Within our WAN Purchasing Group, we are often asked our opinion of vendors. Because we believe strongly in answering the questions we are asked, we put together a comparison list of most prominent UK and Global MPLS providers to help kickstart your project. As you vet the various providers, please remember that although all providers have a basic capability, you'll need to evaluate across many key areas to avoid a procurement mistake. If you'd like a reliable guide to assist in researching your WAN providers, check out our WAN buyers Mindmap below. We'll start with the top 3 challenges. The age old problem, how to ensure your UK or Global MPLS provider is clear and transparent with their marketing? The majority of service related detail is hidden behind the scenes. In order the gain the clarity you require, it is imperative to align your own business requirements with each key area of provider capability. Easier said than done but our provider checklist Mindmap will put you on the right track. Align your requirements to the right technical design. Create a statement of networking infrastructure requirements from strategy through to security and beyond. The creation of a VPN Statement of Requirements (SoR) document requires looking inwardly into your existing MPLS capability from the perspective of strengths and weaknesses. Consider how your existing WAN is performing as a bottleneck to the business. What areas of improvement would result in the WAN becoming an enabler? Avoid typical issues and maintain value. There are risks, pitfalls and opportunities when comparing, delivering and supporting an MPLS WAN. Some of which simply cannot be avoided and will create impact and delay to your project. 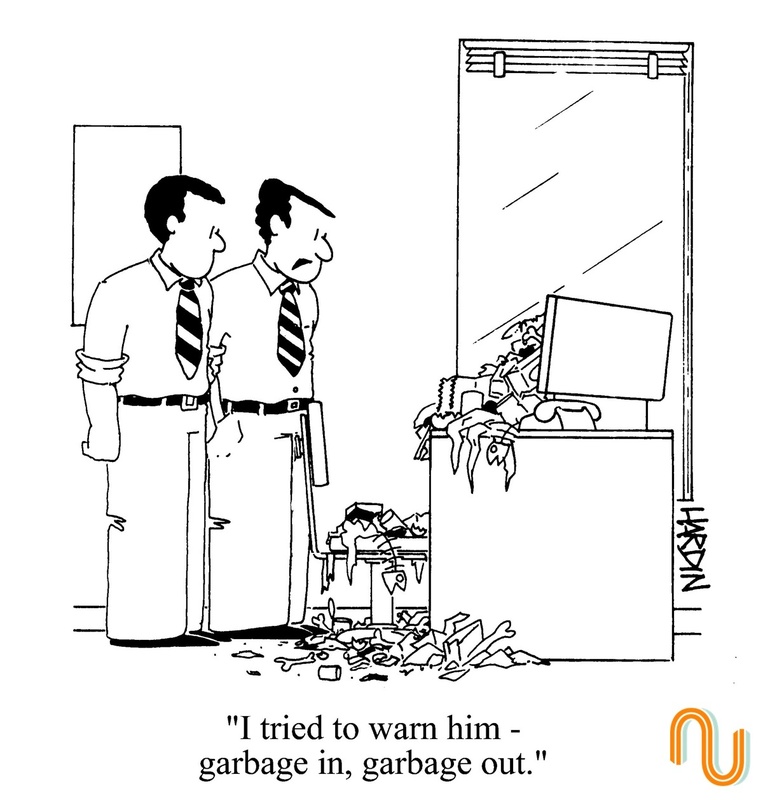 However, being forwarned enables your IT team to communicate with management about the potential business impact. We strongly recommend using our free content to deliver a risk statement back into the business. We know IT teams are busy. With this in mind, we worked to create a single document outlining every key WAN buying area together with technology comparison. SD-WAN, MPLS and VPLS are all compared. Delivery, application performance, reporting, user flows are outlined to ensure your team consider every important area. A free, essential, step-by-step guide used by multiple organisations including Medivet, British Legion, Permira, CDC Global and more. Created by Techtarget.com writer Robert Sturt. In one document best viewed on a tablet. Some years prior to writing this article, we made a major mindset and strategy shift within our business. We previously worked as a consultancy producing bespoke private Ethernet layer 3 MPLS and layer 2 VPLS RFP (Request for Proposal) documents for Enterprise companies embarking on comparison and selection of managed MPLS providers. We were not aware at the time but we were essentially conducting research into some of the key vectors, risks, pitfalls and opportunities which surround WAN procurement. The realisation dawned on our team that, although the procurement of both layer 3 and layer 2 WAN technology would always be challenging, we could arm businesses and their IT teams with the best possible network infrastructure procurement process. A blueprint guide to WAN comparison success. Today, the process outlined within the Mindmap forms the very basis of our business workflows. What follows in this article, is an overview of the areas which are the focus of our BT Authorised Business partnership today. The point is this - that the Enterprise WAN is rarely a single product. Moreover, today’s network architecture is created using numerous solutions & products, a hybrid design of managed capability vs requirements. It is possible to look at the VPLS and MPLS providers private VPN procurement as a commodity purchase? I will admit, the commodity mindset certainly simplifies the infrastructure procurement process of networks. The required tools are a copy of Excel; your businesses site list, some approximate Ethernet line bandwidths and a column named price / costs. And, you could add a simple VPN Visio with a fluffy cloud. However, the risk is high since there is no alignment of your business specifics with the capability of the global and UK MPLS market space.Creating an MPLS providers list The issue we face is in the level of analysis of existing situations. In other words, the problems of the past are not solvable by the process which created them in the first place. Our opinion is that Enterprise WAN architecture design begins with your business specifics. The issue we face is in the level of analysis of existing situations. In other words, the problems of the past are not solvable by the process which created them in the first place. Our opinion is that Enterprise WAN architecture design begins with your business specifics. Any organisation which leads their given field will understand the need to ensure core processes are efficient and accurate. When dealing with any company (whether Business to Business or Business to Consumer), you will know yourself how satisfying the sales process is when it just works. With the right managed telecoms capability in place, companies move forward smoothly to the next project, application, or feature which relies on WAN or ISP connectivity. In the majority of situations, a hybrid WAN design is now the norm with networks architected as both layer 3 and layer 2 connectivity from MPLS networks and across Internet circuits. Above. The Mindmap to help your business compare MPLS providers. Global and UK MPLS Network Providers - Ethernet VPN Applications, their flow and performance. Gaining insight into Enterprise VPN application types, their flow and any given sites trend over time requires a reporting tool of some type. In some instances, the capability of existing reporting is poor, perhaps only detailing bandwidth usage. If applications are running well, with no user issues, there may be sense in gaining an understanding of overall bandwidth usage only. Interviewing a subset of users about performance will provide a basic insight and should be completed regardless of stats availability. The issue for your IT team is that any reports of slow applications may relate to the LAN, the users PC, services and so on and not the WAN. The ideal base level of your IP VPN sites statistical data would surround individual application type, usage trend, latency performance, QoS (Quality of Service) and any associated downtime. A comprehensive level of line stats will allow your team to understand how traffic flows move and where the potential for congestion or downtime may occur. Armed with this information, cost effective scalable VPN bandwidth options are a possibility from your prospective UK or Global MPLS provider comparison list. The ideal base level of your IP VPN sites statistical data would surround individual application type, usage trend, latency performance, QoS (Quality of Service) and any associated downtime. There are clearly some sites which are more important than others including small broadband offices with ADSL / mobile 3G / 4G connectivity that may not require a comprehensive level of stats. The real reach of VPLS and MPLS solutions surrounds the availability of PE (Provider Edge) devices. The majority of MPLS provider marketing encompasses availability statements which, in reality, refers to wholesale coverage. In other words, marketing may profess to offer 98% coverage but the detail will refer to wholesale agreements with organisations such as Open Reach, Verizon and others. Latency - traffic which leaves your office site will follow a path direct to the nearest provider edge node from the routers deployed within your offices and infrastructure. The length of this path will impact overall latency since traffic will leave your office via an Ethernet tail circuit lines, to the MPLS PE node and through to the destination router. A small country will not suffer a huge amount from a latency perspective since even with extended local loop tail circuits, the traffic paths will not be excessively long. However, when creating your international businesses network architecture, optimal data performance for your sites applications should always be a consideration. The provision of MPLS networks offers up a different challenge where global connectivity is involved. The distance between metro PE nodes and your office lines has the potential to add significant latency. Network infrastructure and Line Diversity - over and above potential latency impact, Ethernet IP VPN diversity is up next. With a low MPLS PE coverage, your office sites have limited options when connecting to prospective network services. Whether low diversity coverage is an issue is largely dependent on your requirements and location quantity. Businesses with significant reach should carefully consider the true provider edge reach in order to understand the potential impact to their business. On another note, we also recommend requesting the structure of the POP where the MPLS PE is located in terms of security, fire suppression, battery backup and so on. We know of several UK and Global MPLS providers / telco’s where the actual PE POPs are structured differently across locations. In other words, some POPs will offer better line resilience than others which creates a different capability for each customer connected to their network. The majority of highly secure POP sites are within locations such as Telehouse (as an example). Diversity and resiliency also require a focus at the broadband / ADSL / EFM (Ethernet First Mile) level since many providers aggregate traffic within their networks. Dual aggregation points should be available to maximise uptime across broadband / ADSL / EFM. This applies to fibre and ADSL2. Additional diversity is available by the use of BGP (Border Gateway Protocol). BGP multihoming facilitates the use of two service providers for both Internet and VPN. The product set available within each POP your business connects to will differ. Some providers are only suited to fibre based products within international metro locations. Others have the capability to deliver lower cost capability including 3G / 4G / Broadband and so forth. Above. Aligning networking requirements has this result if done incorrectly. Managed Services - Statistics and application performance / flow. Statistics and reporting are the key enabler to understanding your own existing network infrastructure and making informed decisions both up front and throughout the contract. A basic level of stats such as Ethernet line bandwidth usage is almost not fit for purpose these days. With services such as cloud-based computing, sophisticated applications and users consuming bandwidth resources from all manner of connectivity, IT teams need to be more informed than ever. The solution trend today is for application-aware stats which allow businesses to really understand, at a granular level, how particular applications are performing from the perspective of uptime and latency. Over time, trends will appear allowing IT to predict where bandwidth upgrades are required or whether other technologies such as WAN acceleration may assist to improve network performance. QoS policy (Quality of Service) creates an environment where we are able to prioritise applications based on importance. Over time, trends will appear allowing IT to predict where bandwidth upgrades are required or whether other technologies such as WAN acceleration may assist to improve network performance. However, setting the prioritisation bandwidth is difficult without understanding usage over time. When considering MPLS services, reporting is more important than ever with traffic originating via multiple wholesale providers with different support methodologies and performance. We have mentioned additional latency from extended tail circuits - viewing stats over time will inform the business where possible improvements may be required. The way in which this functionality is achieved is by utilising an agent which is installed on the users laptop - the stats are easy to interpret since data is displayed at a glance. Statistics are also becoming more available across hybrid VPN services with the ability to report on public Internet, MPLS, VPLS, layer 2 / layer 3 switches and so forth within one portal for hybrid line services.This new style of reporting makes it easier to manage the service of MPLS service providers since the entire LAN and WAN is available for review. This new style of reporting makes it easier to manage MPLS service providers since the entire LAN and WAN is available for review. A real tangible reason why IT Managers decide not to proceed with MPLS provider change surrounds the fear of networks change and associated migration. However, the problematic experience suffered by the majority of global and UK businesses is because expectations are not set correctly. There is no doubt about it, WAN migration is a difficult and challenging experience but there are key areas where attention to detail will remove some of these frustrations. In addition, you are not the first company to migrate their WAN and therefore the risks and pitfalls should be made totally clear up front in the form of a project plan. The plan should contain notes and feedback as to where delays may occur and the remedy if issues require resolution. Clearly, not all issues are known up front (wayleave) but there are a set of typical issues and problems we witness with migration on a regular basis. We also recommend meeting with any project management resource prior to signing contracts. This will enable IT to understand their PM resources experience of solutions and their approach to managing migration and installation throughout contract. A discussion regarding actual customer migration technique should also form a key part of your investigations. There are numerous ways to migrate from one supplier to another but the key is supportability of any proposed options. In the main, the HQ site is the last to migrate which will require dual running of providers and solutions for a short period of time.Unfortunately, UK or Global MPLS migration and provision is more challenging than their national counterparts. In-country language, import restrictions, time differences, holidays all conspire to add a layer of complexity. Unfortunately, UK or Global MPLS migration and provision is more challenging than their national counterparts. In-country language, import restrictions, time differences, holidays all conspire to add a layer of complexity. Perhaps one of the most frustrating aspects of dealing with MPLS providers surrounds making changes throughout the contract. Fortunately, this is one area where innovation is occurring with the advent of new customer portal systems where simple changes to bandwidth, QoS (Quality of Service policy) and change requests are made with simplicity. The portal approach will allow your enterprise to track previous changes, log new changes and generally access data surrounding your network and lines. Your services references, circuit line ID’s, contract terms, bandwidth and so forth should all be clear, at a glance, via a shared portal of document storage system. 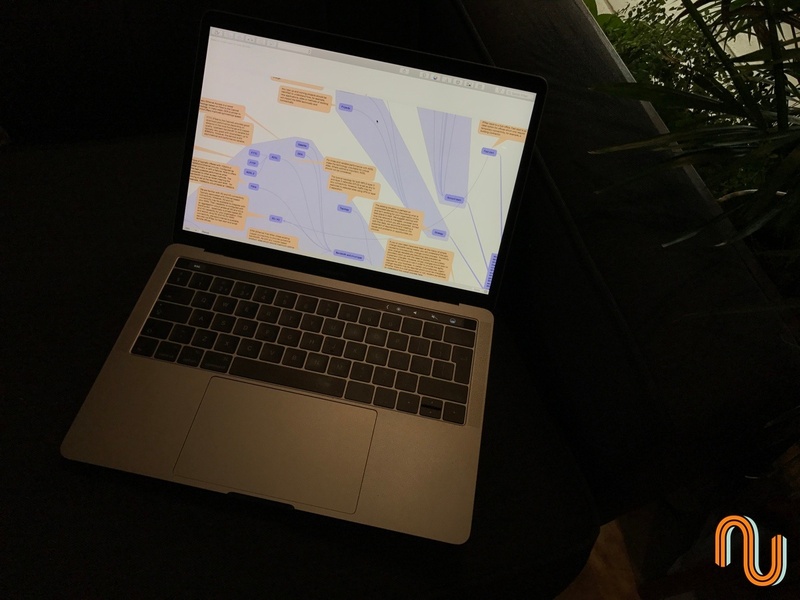 The days of a high-level fluffy Visio network diagram existing on a team members laptop should be over as the risk of out of date versions and lost data is high. The change and documentation process should form a key component of your procurement investigations - ask the view systems and dummy data. Above. Migrating your provider network. MPLS Presales and Account Management. The presales and account management resource will determine whether or not your sales process follows a features and benefits commodity approach or is value led. A features and benefits approach to VPNs will require your IT team to force service provider transparency by asking the relevant questions about their capability. We've discussed MPLS PE coverage previously - an example of where asking the right questions regarding reach will arm your team with the best possible idea of how capable any given service provider is to meet your requirements. Our preferred sales approach is one where a provider aligns your business specifics with their particular product set which clearly sets out the capability of any given service. The new era of sales is one of expectation setting whereby each member of the team understands the impact of decisions vs their procurement project. In other words: Requirements > Capability > Expectations and Impact. Not a particularly exciting aspect of MPLS providers but an area of services which are necessary to scrutinise. The support and management of any MPLS solutions is a given but the process used to log tickets and associated SLAs together with expertise and staff numbers are critical to achieving a good in contract experience. A portal system is of use to both log tickets and obtain updates as this kind of resource offers better client vs VPN provider collaboration when issues occur. In short, though, the basics of support are general monitoring of your network's connectivity together with a proactive stance on notifications and a good robust step by step fix process. We often find that UK and Global telcos / carriers which front support calls with staff possessing only a basic knowledge will result in an outcome are often highly frustrating. The ideal scenario is one in which you are immediately speaking to an engineering NOC team with correct, accurate access to your network and, critically, they have the ability to make changes. With global MPLS, the challenge is to ensure specific in-country support is analysed carefully. The WAN is rarely a single product. More over, today’s architecture is created using numerous products, a hybrid design of capability vs requirements. While a provider may have a significant support team in one particular country, this may not be the case when looking at other locations. First, never engineer a global or UK VPLS or MPLS design based on an SLA. While an SLA does provide a good indication of capability, the figures included generally represent averages and are only focussed on an MPLS providers core network - PE to PE and not CE to CE. When considering traffic latency, our earlier information on PE coverage will determine how much additional latency is added from tail circuit loop length. The SLA will normally include commitments to circuit line delivery, circuit uptime, application performance per QoS setting, and support fix times. The delivery of circuits is subject to many moving parts and while the SLA may commit to (for example) 50 working days, the reality may be somewhat different. Will service credits really make up for incorrectly setting expectations internally within your business? The same scenario exists for support and time guarantees. An SLA which commits to 100% uptime (some leased lines for example) looks great on paper but is of little consolation if your service is down for extended periods of time. 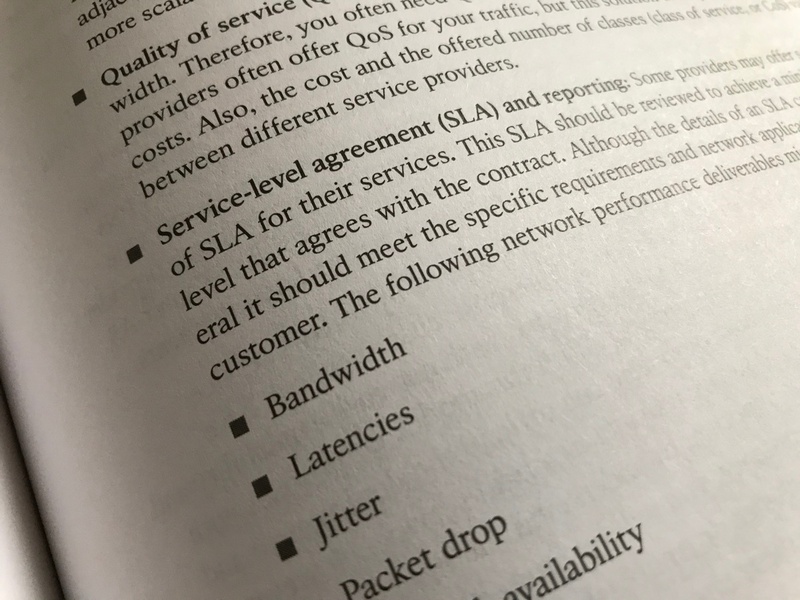 In short, the SLA should be used as a high-level indication of line and service performance. The reality should be considered by putting in place the best possible design vs your requirements. We would be remiss if an article went out without at least one mention of cloud-based services. And rightly so since the productised offerings from service provider cloud capabilities will provide the necessary access to ISP (public Internet) networks and services which include Firewall capability, remote user access, collaboration for voice / video and application virtualised hosting. And, a highly resilient hosted infrastructure which is accessible anywhere. The default 'networks' procurement approach is to ensure a provider also offers cloud-based services. However, there is no reason why cloud services cannot be procured outside of the WAN. In reality, the discussion of cloud deserves a separate article which we will release soon. VPLS is growing in popularity but not to the detriment of the services from layer 3 MPLS providers. The layer 2 MPLS providers offer is based on an any to any multi-site capability. VPLS offers some distinct advantages when considering certain scenarios. As an example, the ability to extend LAN connectivity over geographical distances makes an IT teams life easier when adding additional services or hardware which must appear as one resource (essentially the same LAN) - typically within a data centre hosting facility. Where the Enterprise has a requirement to manage their own network infrastructure capability at layer 3, a VPLS VPN provides the option of adding your own layer 3 routing. In some instances, carriers and telco's do not support certain IP traffic or routing setups, in which case a managed in-house or 3rd party solution is applicable via VPLS with layer 3 overlay. In addition to VPLS, VLL (Virtual Leased Lines) are a evolution of MPLS - point to point or multipoint pseudowire line (emulation) over geographically extended distances. The point is this - that the WAN is rarely a single product. More over, today’s architecture is created using numerous products, a hybrid design of capability vs requirements. Extended MPLS between multiple providers. There are certain scenario's where your business may require to extend your UK or Global MPLS providers capability. The comparison of NNI providers is a little more difficult. As an example, mergers and acquisitions will create a challenge if your existing carrier / provider does not have reach within required locations. In this instance, the consideration of joining multiple providers together via an NNI (Network to Network Interconnect) will need to be designed. The NNI will normally exist within a (DC) datacentre which ticks the boxes from a resiliency, diversity perspective. The focus should be on the demarcation of each service within the DC as a situation may occur with support where each provider will blame the other for problems making troubleshooting protracted and troublesome. 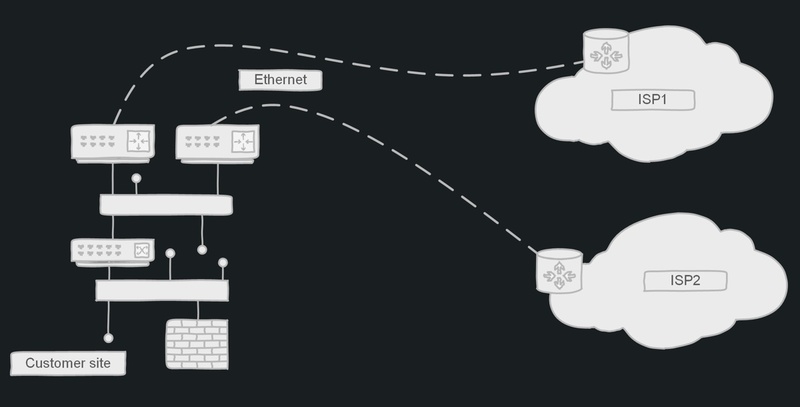 From a topology and design perspective, the involvement of more than one provider will create additional latency due to the multiple HOP's involved. And, QoS (Quality of Service) will need to be passed between each provider or remarked by an intermediate device. We have some experience of creating MPLS designs across multiple providers, get in contact to discuss the challenges. The security of a layer 2 and layer 3 VPN based on MPLS is, in general, a given and certainly not a cause for concern. The security of a layer 2 and layer 3 VPN based on MPLS is, in general, a given and certainly not a cause for concern. There are some customers such as government or financial which will require further added security in the form of encryption. It is not uncommon to find customers adding IPSec across their private VPN to further secure traffic. Where a combination of private networking security and IPSec is not enough, the only ultra secure alternative would be to consider dedicated fibre. while no connectivity is totally secure, today's networks are by nature, fine for most businesses. We have witnessed business / customers go out to numerous MPLS providers or resellers when procuring networks and their associated services. Typically the procurement of MPLS providers engagement is less in terms of engagement quantity. However, this approach is normally based on a commodity buying process - i.e. the lowest cost of networks outputted by multiple carriers, telcos and providers in the market place. Companies such as BT only utilise Open Reach tail circuits, others will aggregate multiple tail providers to achieve the best possible costs. There are benefits to each approach. The choice of provider or reseller will often be assisted by the sector which you operate within, i.e. Government, Local Council, Education and so forth. The sector experience applies to both the service providers and their resources. I.e. when meeting with project managers and account managers, their sector experience is a real plus point. Each sector (as you will no doubt understand) has specific challenges and regulations which exist. An understanding of each sector will alleviate potential pain points when creating your proposal. Lastly, consider the expertise of any reseller carefully. There are numerous IT companies with a core ability in, for example, IT support that are moving toward the WAN reseller model. However, while they may have a good core expertise, they may add only limited value within their MPLS or VPLS reseller proposition when selling WANs. BT Global is a major operator of international WAN connectivity with coverage including Asia Pacific, Europe, Middle East and Africa, Latin America and the Caribbean and North America. The UK side of BT WAN network services also offers good coverage. There are various managed services options that must be carefully considered vs. the size of your business and requirements. (As one of BT's Premier Partners, we're able to point you in the right direction). The Orange, or OBS, marketing suggests network reach into 220 countries and territories including 1500 PoP locations via 900 cities worldwide. Similar to BT Business, Orange has WAN employed resources situated in excess of 160 countries. Orange is also keen to point out their mobile coverage to complement network services. I personally have direct experience of Level3 but not for over five years so cannot comment on managed services capability although we still have contacts. Their WAN coverage, again as per BT and OBS, is extensive and offers good global reach in North America, Europe, Latin America, Asia and Africa. Products also span layer 2, layer 3 and high-speed Global Internet. Although we have never worked with or for A&T, they've made it to this list as they're clearly a large global player within the WAN services arena. It is safe to assume, the AT&T portfolio consists of the usual products from MPLS and VPLS through to SD-WAN. Our WAN services team have been engaged with Interoute for the past 4 years via a UK connectivity project. It is important to state that our relationship began with MDNX as the Interoute company has grown via acquisition. Overall, coverage via Interoute is perhaps not as comprehensive when compared to BT Global with a mixture of on-net and virtual POP's. Verizon is no doubt a capable telco but my experience suggests their capability is more aligned with the larger Global Enterprise business. Coverage is, of course good, in part due to a prior merger with UUNET (UK ISP) and WorldCom which provided a UK and International WAN footprint. Vodafone is another example of growth via the purchase of an existing telco - in this case, Cable and Wireless. We've not managed to find a complete network coverage map but will endeavour to paste their capability here in the future. One of Network Union's clients is using Colt services as Internet fail over to a primary MPLS network. Their marketing suggests 200+ data centers with a presence in 28 countries including Europe, Asia and the US with NNI agreements with selected providers. Clearly, COLT does not have the coverage vs. the major telco's but, depending on your location, their product capability is similar to the usual suspects. Procurement - to help IT teams begin their procurement project, we’ve put together a list of UK and Global MPLS providers to assist your business with comparison. While the list certainly isn't exhaustive - we’ve included a good mix of the usual suspects (think large telco) together with some lesser known providers you may not have considered. In addition to our list - we’re continuing our free onsite workshop available at your office. A 2-hour session where techtarget.com writer Robert Sturt will walk you through the latest WAN technologies and associated services. Think MPLS vs VPLS, SD-WAN, migration, application peformance and so on. Plus - we’ll also send you a copy of our award winning step-by-step checklist Mindmap specifically focused on MPLS provider procurement. Permira, Royal British Legion, Endava, Russell Finex and more started their WAN buying journey using our content. The BT SHDS service providers almost no latency as the connectivity is based on dedicated optical infrastructure. Got a project you would like us to look at?